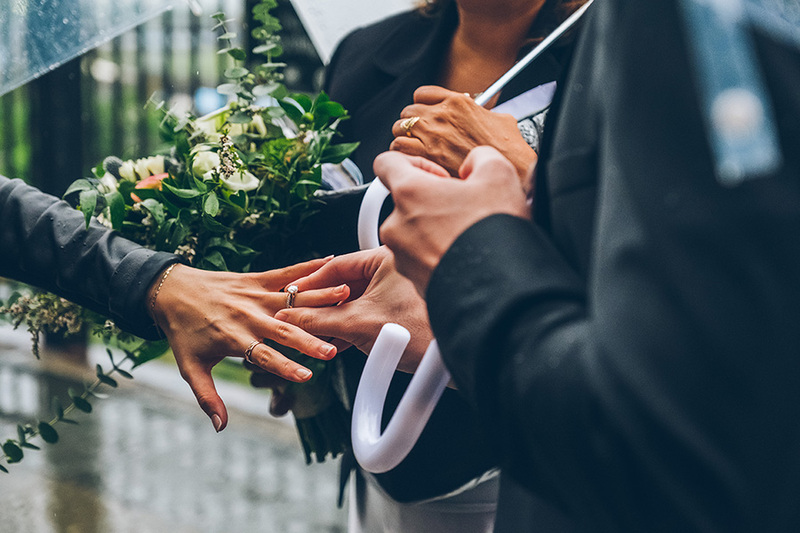 This was definitely one of the most interesting elopements I've ever done. Shot entirely in the pouring rain! 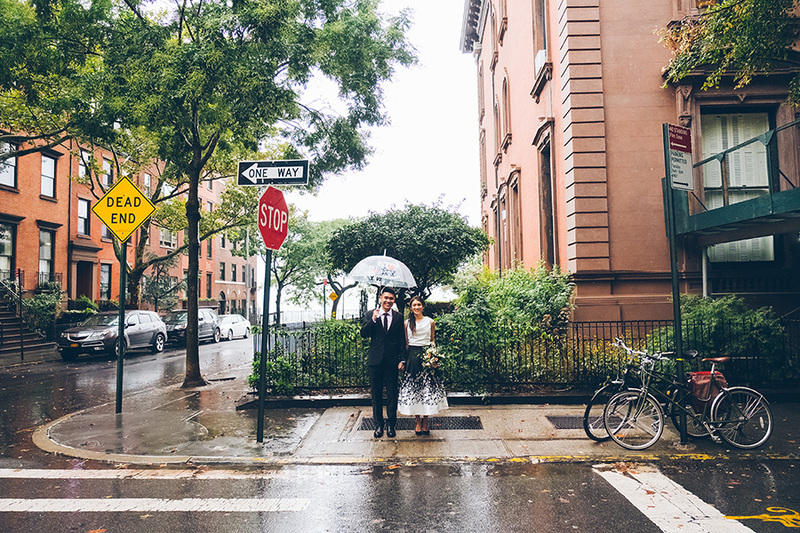 Jackie and Aaron are from LA, California (Peep the LOVE LA street sign in one of these shots later) and their parents were flying in to NYC to witness their union. 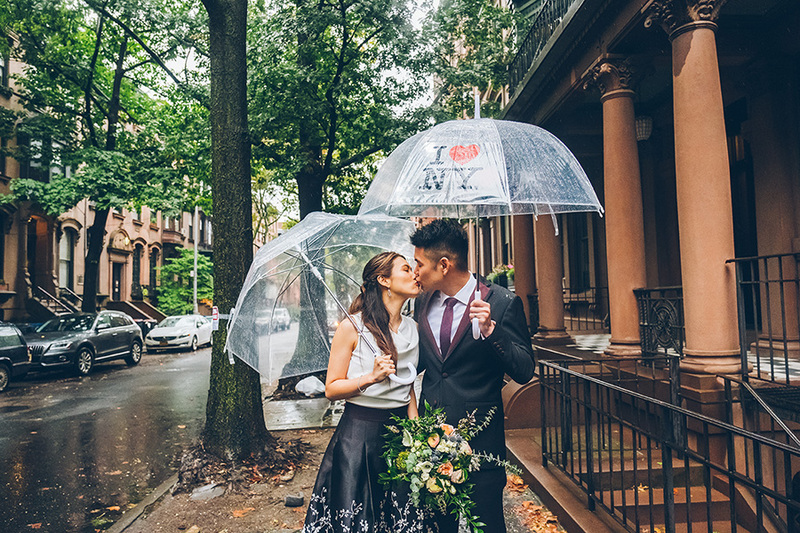 Although the forecast had rain at 100%, their parents were only going to be in town this weekend - so we knew it was going to happen- rain or shine! 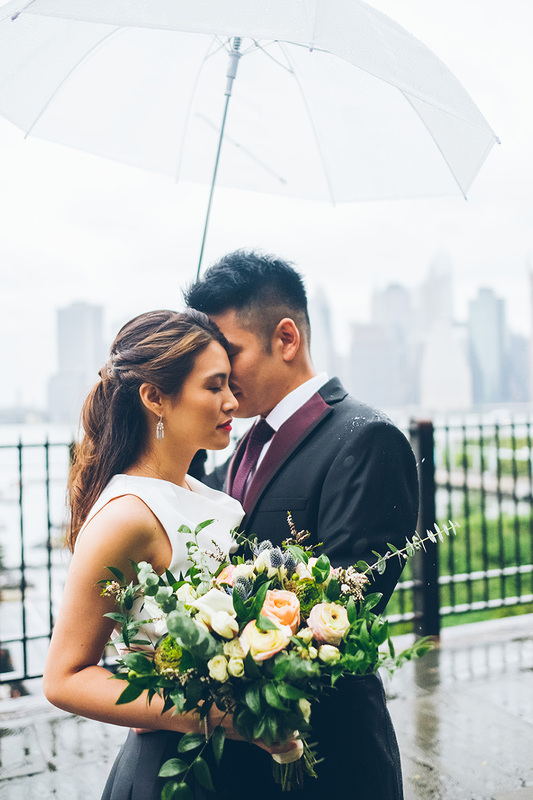 We met at the Brooklyn Promenade; the officiant all ready, and everyone had armed with umbrellas! 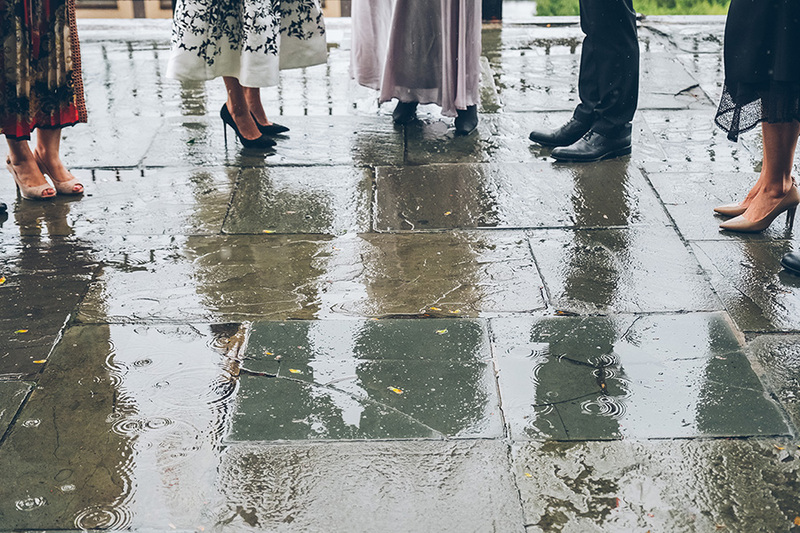 I was able to capture their adorable elopement in the rain, surrounded by their family and friends and it was AWESOME! 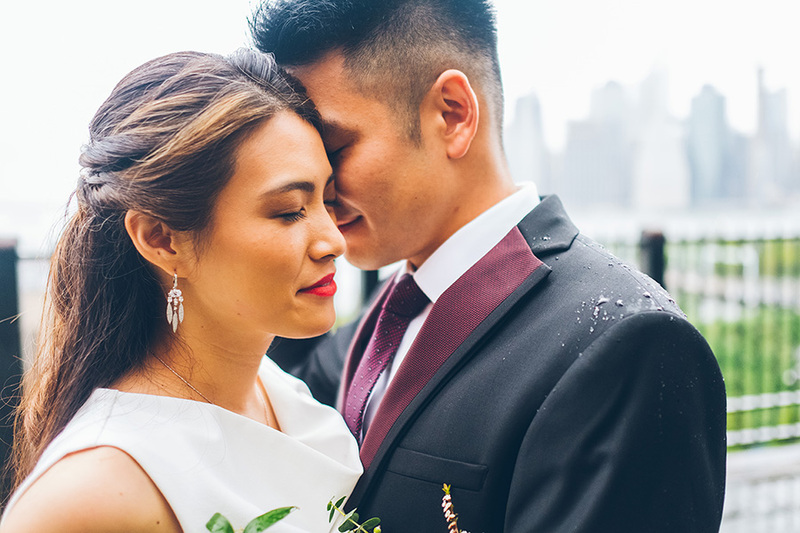 It was whimsical, romantic, fast paced and definitely the kind of day you'd remember!! 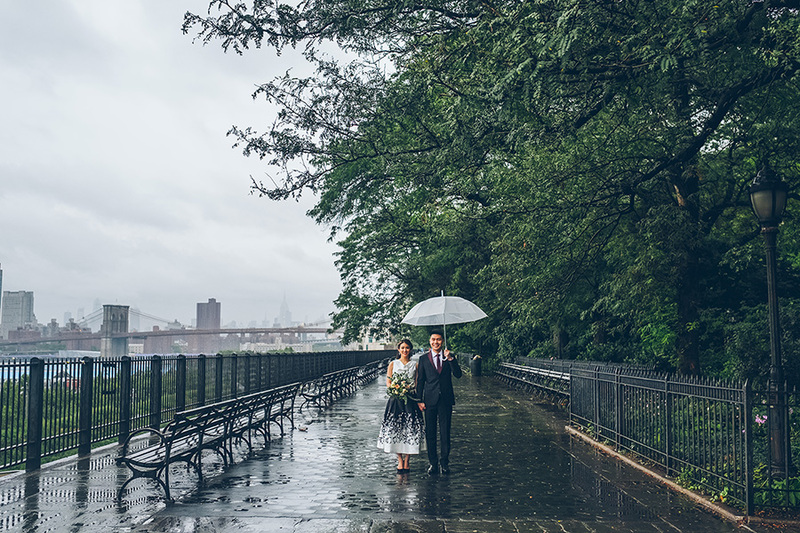 Despite the weather, there was a gorgeous backdrop and a lot less people walking around the park (which was really helpful!!) Jackie and Aaron were all up for everything!! Their upbeat spirit and willingness to get amazing shots DEFINITELY made it all worth it!! I had so much fun with them and was so thankful that despite some unforeseen circumstances- they were still able to have fun and enjoy their day!!! Photographing in New York, you really never know what you’re going to get! 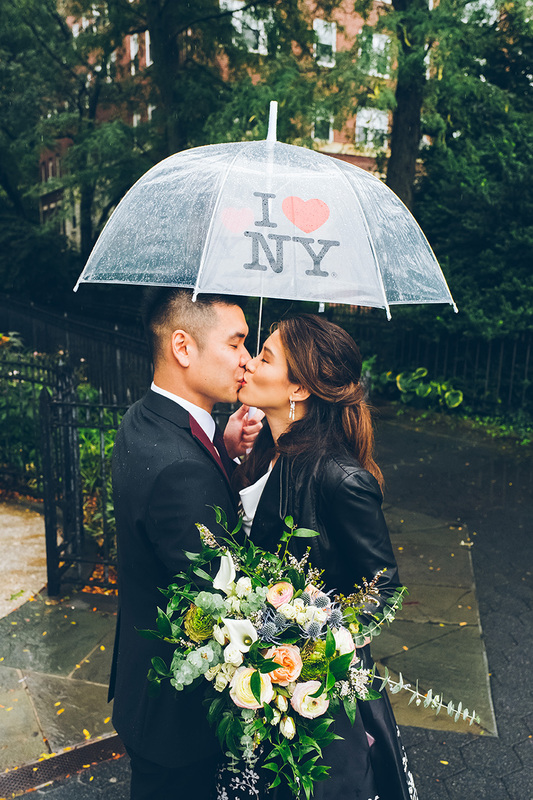 I was super excited to blog this New York City elopement and hope you guys will enjoy it too!! 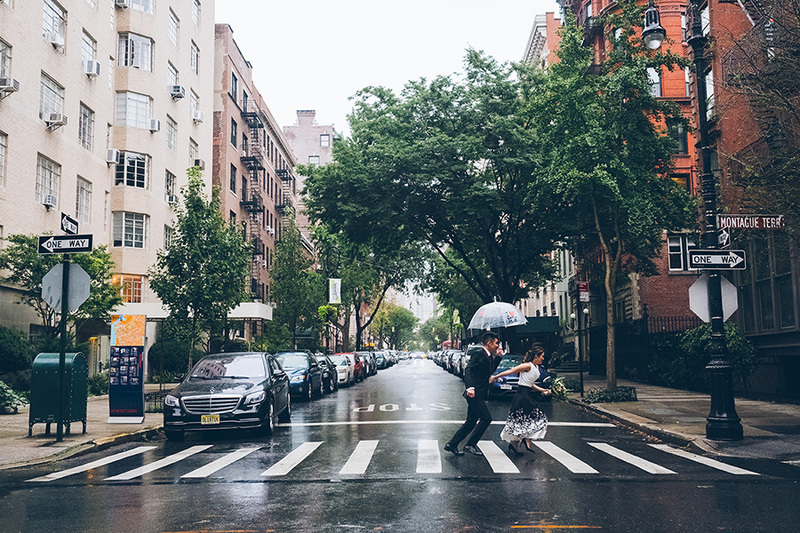 #iLOVENY ! !